Thank you for joining us for the Flowers Challenge and we hope you will all join us again this week too. Paula’s project is looking into the future! For the background she used Salty Ocean and Peacock Feathers Distress Oxide Inks and Mustard Seed and Squeezed Lemonade Distress Inks. To create a more ethereal look she added a sprinkling of Sunset Beach Infusions. The eye looking into the future is from a Jane Davenport Mixed Media 2 Acrylic Stamp Set. Andrea made two bird projects celebrating different times of the day. She used Stampendous Winter Tweets die set, as well as various stencils, such as the Sunrise Radiating Rays by MFT. 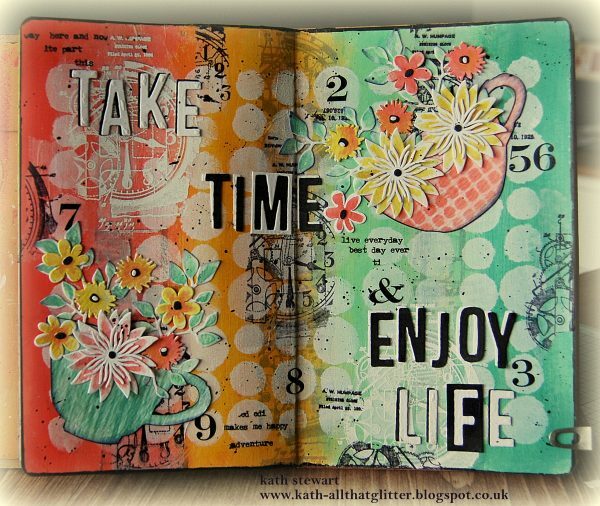 Anna-Karin made a grungy art journal page, on a kraft page in Dina Wakley’s Media Journal. 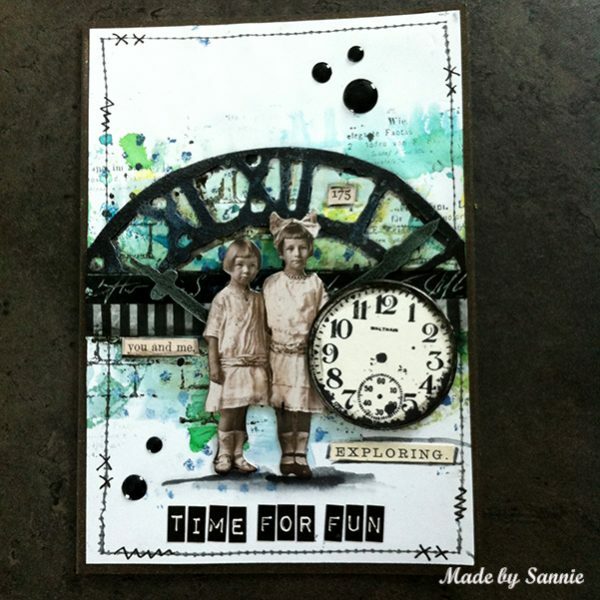 It was inspired by a Tim Holtz stamp about time, and she also used the Sizzix Weathered Clock die and a whole lot of clock stamps. Barbara this week arrived in the 50’s! 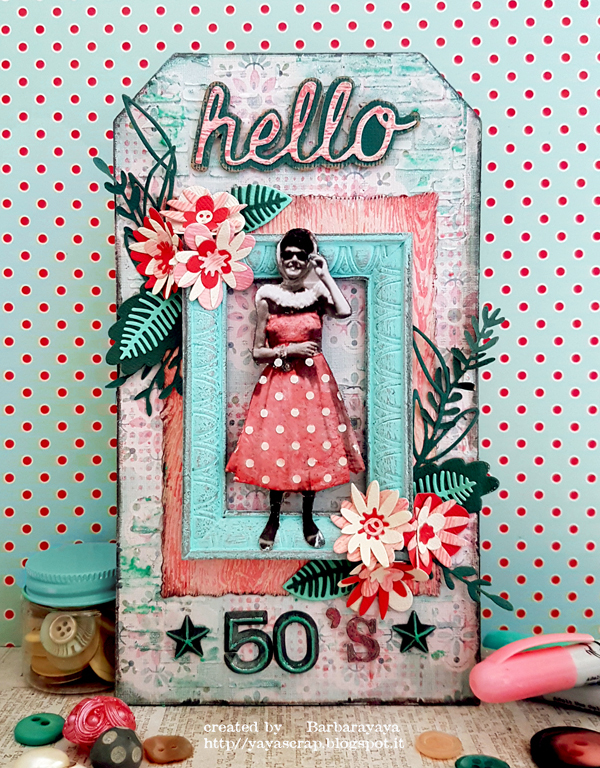 She created an Etcetera Mini Tag with Idea-ology Worn wallpaper and Tim Holtz stencil Slate for the background, Found Relatives and Tim Holtz Szzix Funky Floral thinlits dies to embellish her project. 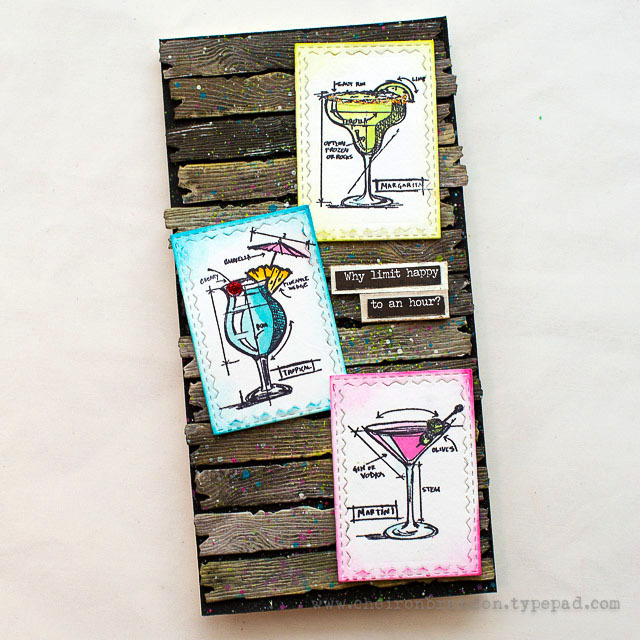 Cheiron created a card about a favorite time of the day…happy hour! 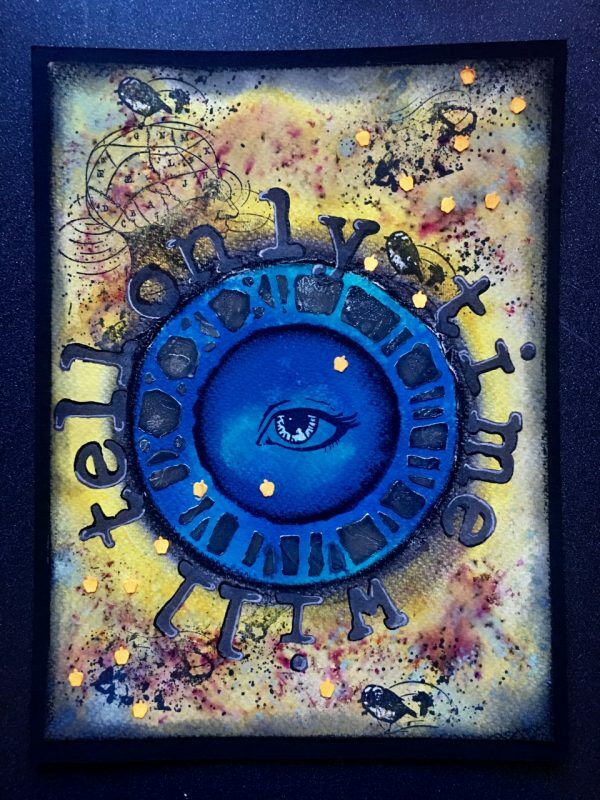 She used Tim Holtz’s Mini Blueprints 10 stamps, Tim Holtz Sizzix Plank dies and a snarky sentiment from the Tim Holtz Snarky Small Talk Stickers. 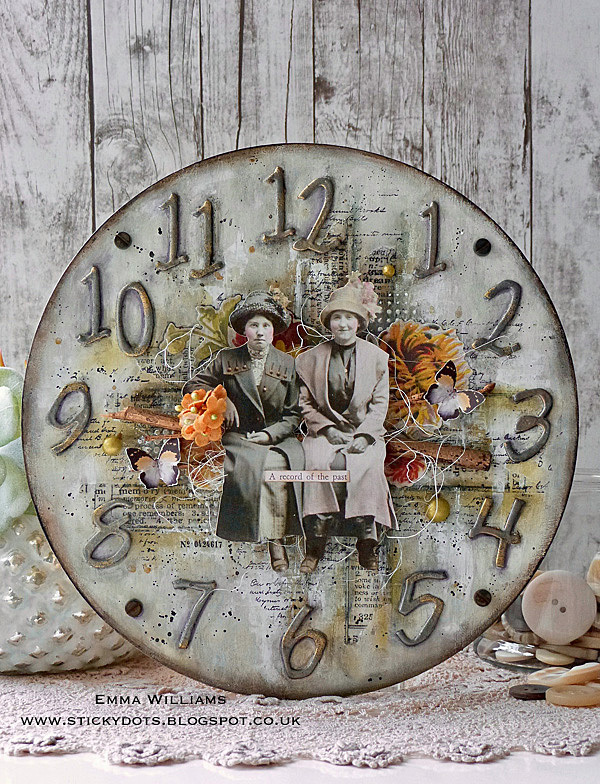 Emma took a step back in time and created a vintage style clock face. She used Tim Holtz’s Cutout Script Die, embossed with Gunmetal and Gold Embossing Powders to create the numbers and added two characters from the Paper Doll set sitting on a branch from her garden surrounded by Botanical Layers. 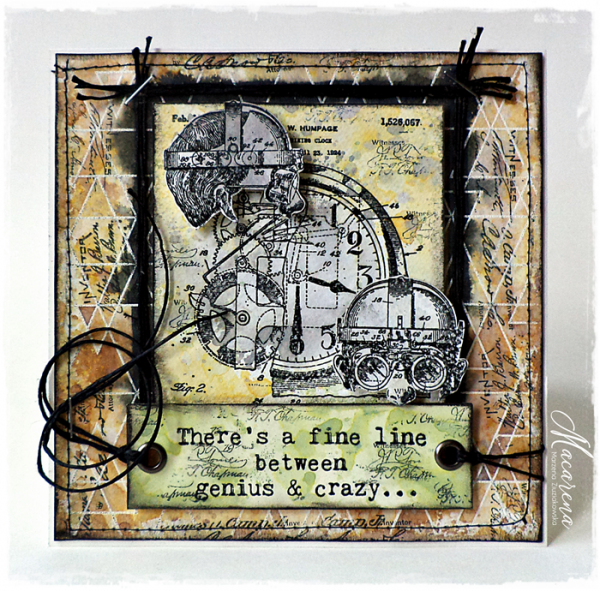 Macarena fell in love with Tim Holtz Inventor stamp sets and combined them on this masculine card. 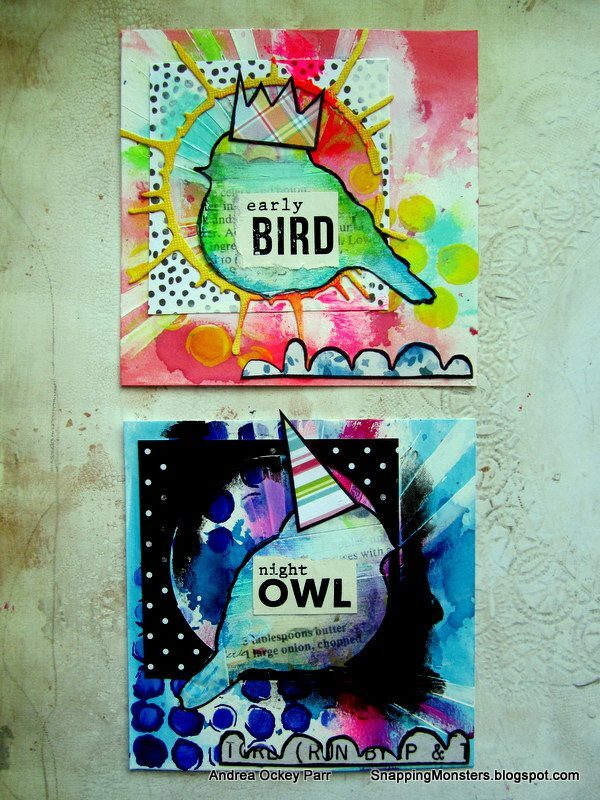 For the main background she used Simon Says Stamp Abstract Triangles stamp and some pretty Distress Oxide Inks. 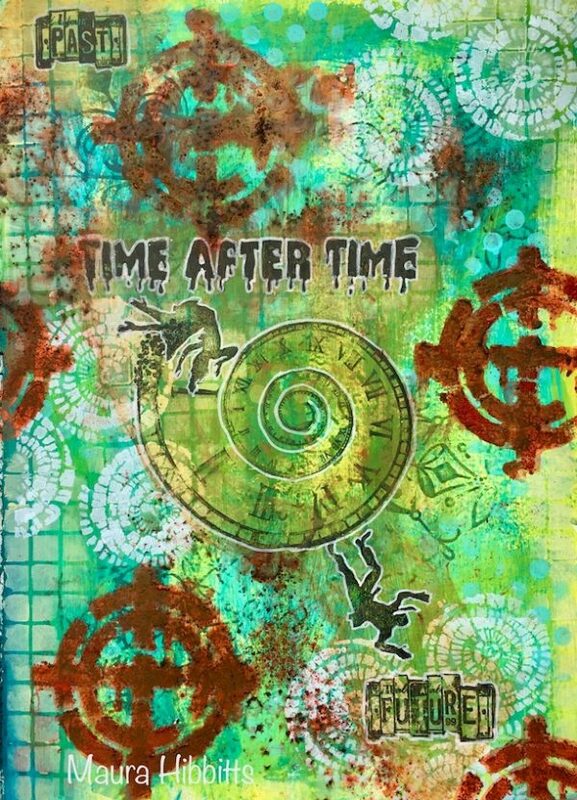 Maura created an art journal page in her Dylusians Art Journal about falling through time. 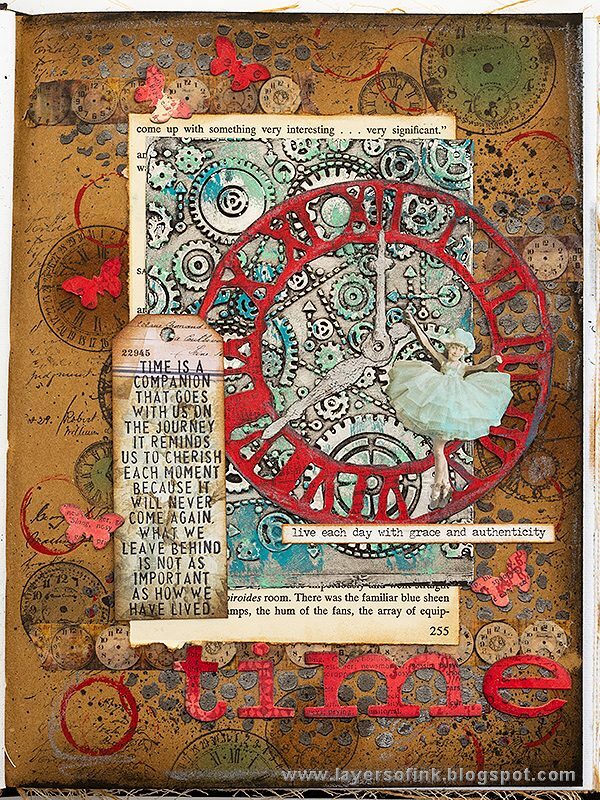 She used the Visible Image Ahead of Our Time stamp set, Paper Artsy’s Eclectica3 stamps by Seth Apter, along with Seth’s Stencil Girl Spinner stencil, Joggles Itty Bitty Fossil stencil and lots of Paper Artsy paints. 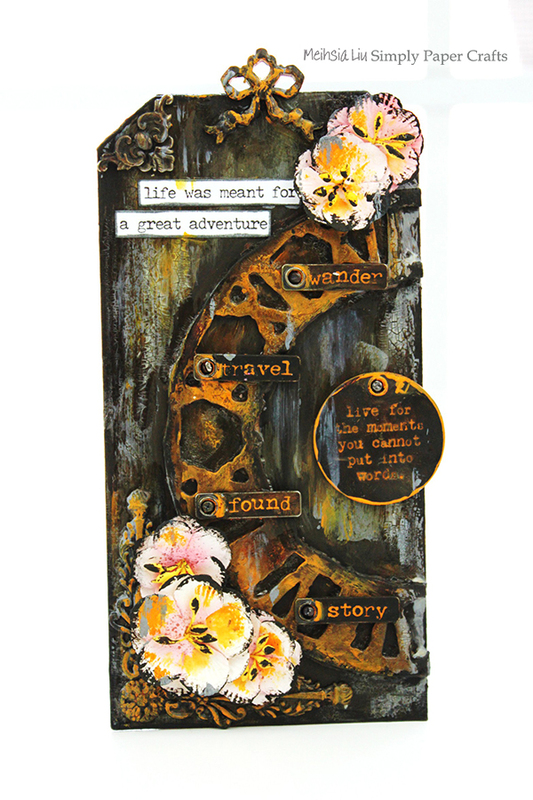 Meihsia was inspired to create a mixed media tag using Sizzix Weathered Die Bigz Clock Alterations and decorated it with Idea-Ology Story Sticks. Well, it looks like the challenge linky took a time out because I do not see it & only see words save as save as … Wonderful artsy time creations. Thank you Melissa! We will fix the linky as quickly as possible.